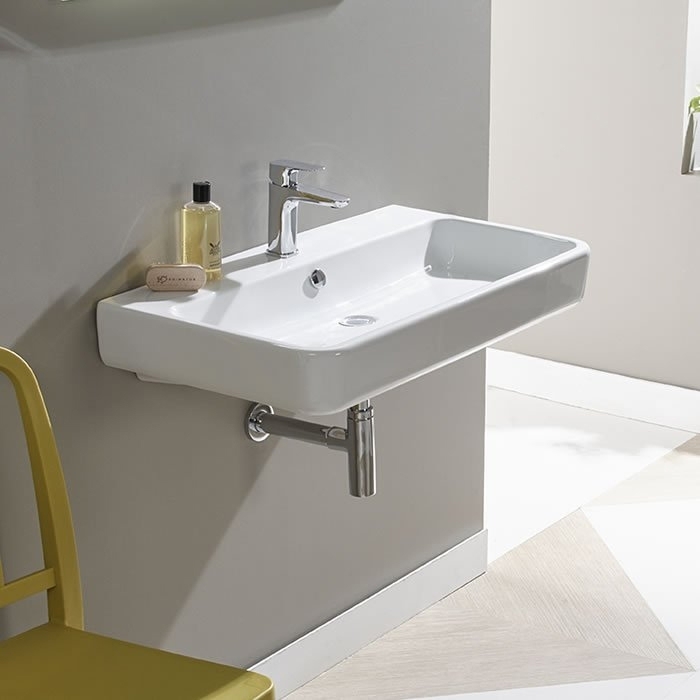 The Tavistock Agenda Basin and Full Pedestal, 800mm Wide, 1 Tap Hole is an exciting model from the Agenda collection of Basins from Tavistock. It has a slim generous design and rounded corners make it a real style statement. As you would expect from a leading brand such as Tavistock, this item is manufactured to the highest standards and is sure to add style and substance to your bathroom.